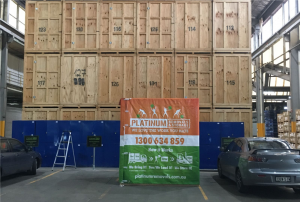 Platinum Removals is the leading commercial and residential removalist in Sydney and Melbourne and we are adding portable storage options to our list of value-added services to our clients! Portable storage units will change how you move homes from now on! Self storage services are not new around town. These days, almost everyone has some items stashed at a self storage facility somewhere because they are slowly running out of space at home for all their belongings! But while self storage units are really a convenient service and space to have, getting there might be a bit more of a question. And not just you getting there, but getting all of your items there too! That’s why for Platinum Removals & Storage as a moving and removals company, we’ve decided to do something about that and offer our clients an option to utilise our moving and removals services together with storage options so that you can enhance your moving experience with this additional option! But the best thing about the self storage services that what we are providing is actually made up of portable storage units! That means that you don’t have to worry about logistics of getting to the storage unit and moving everything to a far away facility. 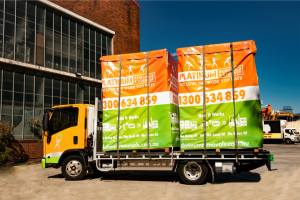 Platinum Removals can bring these portable storage solutions to you anywhere in Sydney! What makes this so much different than the traditional self storage methods that people are used to? Our portable storage units are actually made of an industrial strength plywood and that makes it light and airy both in and out. All your items going in will have clean and clear environments to sit in while they are being put aside to long or short term storage. In addition, we’re proud to offer you a storage capacity that’s 30% bigger than what you would normally get with your metal and stationary storage units within a facility. That means that you’ll get that much more storage space when we arrive at your location with our storage units on our trailer and you’ll save a lot more money than if you were renting out a traditional storage unit too! So now it’s important for us to examine just how much portable storage units cost to rent out. Because we’re incorporating the whole moving aspect, we are able to control just how things are being managed when they move from one place to another. There’s less moving actually involved when you make use of portable self storage systems since there’s no need to unload things off of a moving van to get into your storage unit on the ground. However you’ve packed your things into your portable storage unit will be just how it will be when you unpack it months down the road! All of this control allows us to greater streamline our costs and where Platinum Storage Removals saves money, all of our clients do too! You’ll find that our storage prices are a lot more affordable than having to rent out a storage unit separately from hiring a moving company. Paying so many different people isn’t even the half of it when you’re going to have to juggle all the different people handling the different jobs for you too! Better that you make use of our portable storage units and save yourself both the time and the money huh? Making use of a portable self storage system in Melbourne or Sydney may be something new to you. But let us show you that our experience and professionalism are not to be taken for granted. View our customer’s candid feedback about our portable storage services and find out for yourself just how portable storage can change your life! 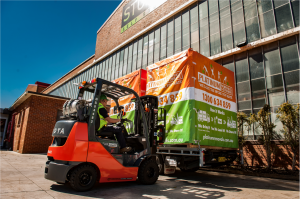 Portable storage in Sydney and Melbourne will make you a believer of self storage!